The story was good. I liked the little twist at the end. The narrator spoke clearly and well, with a good tone to her voice. Well done. This is high among my favorites. None. It's in a class by itself. Which character – as performed by Jessica McEvoy – was your favorite? A great story, received to give an unbiased review. Agatha is an eight year old girl that has a divorced and remarried mother and step father. Her new father also has two young girls, a little older than her, but right around her age. These two step sisters are the stereotypical evil step sisters that plague Agatha's every waking moment. The story is told in the first person from Agatha's perspective. So we get to experience the torment in full force. I really enjoyed Jessica McEvoy's voice. Female narrators, at least the ones that I have listened to, tend to have a very youthful, high pitched voice that do have their place. McEvoy does not have this, at least not in this story, she uses a soft-spoken, almost a loud whisper throughout. That was perfect for keeping the story on the creepy side. it was great. nice ending for a slightly creepy story. the bad eggs got what they deserved! I found this to be an interesting one. It has great character development and easily relatable characters. I feel certain parts of the story could be expanded upon, mostly the items in the boxes. The performance was exquisite as well. The tone and mannerisms of each character were well portrayed. This one is easily worth your time and money. I would recommend this audiobook to anyone looking for a Christmas story the whole family can enjoy. I really loved how it played out. It was very well written and the narration was superb. I won't say much more—find out why this story is so awesome. I loved the atmosphere created by the author. What was one of the most memorable moments of Hide and Seek? For me it was the introduction, and development of characters. The little girl. I could relate to her feelings. Felt like I was her. An Awesomely Dark Christmas Tale/ Loved it! I loved everything about "Hide and Seek." 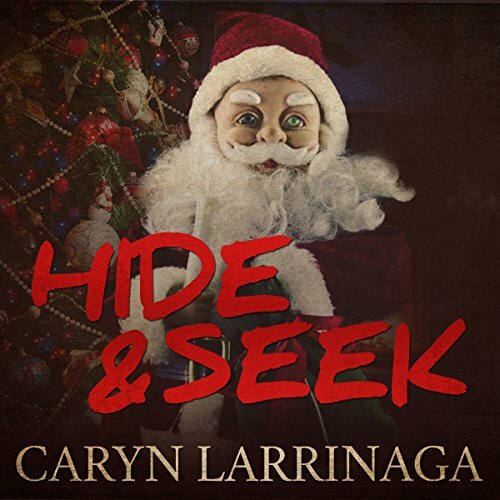 This was an awesome short story by Caryn Larrinaga. It was dark, a bit scary and thrilling and I hope there's more to come like this. The setting was great and the characters were believable. I loved Agatha, and her step sisters Summer and Rain were down right scary. Also, the details were impeccable. This author is definitely on my 'to watch' list. I have a feeling that there's a lot more awesomeness to come. Excellent! Jessica McEvoy's narration nailed it. She was steady with spot on voice inflections that put the listener (me) right there. It was edge of your seat. She was THE perfect reader for this story. Her performance was very impressive. What did you like best about Hide and Seek? What did you like least? Great story reminded me of an twilight zone show. What was most disappointing about Caryn Larrinaga’s story? The only thing that was disappointing is the book was too short but it was still a great story and well worth my time. Would you listen to another book narrated by Jessica McEvoy? Yes i would definitely listen to another book narrated by her. Could you see Hide and Seek being made into a movie or a TV series? Who should the stars be? Yes I can see H&S as tv show, especially around Halloween.